Hi, I am the lady who purchased baby Darren. I am new to reborn collecting and this will be my second baby. I purchased my 1st baby from XXXX XXXX Nursery and let’s just say she is back in the box. Why? Because she scared my grandchildren. 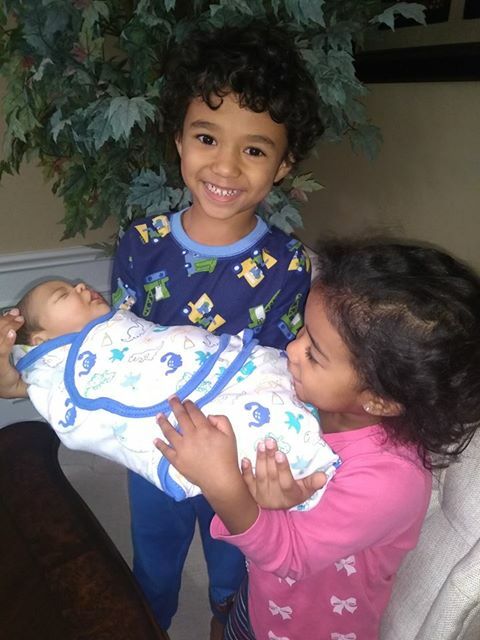 I thought I was getting the baby in the picture but instead I got a prototype that did not even look like a reborn much less the picture. I was unaware that artist can post pictures of other people’s works but their talent falls short. And the dolls hair shed everywhere. I am surprise she did not arrive bald. It was a lesson learned. I took a chance purchasing baby Darren from a lady on eBay. She said the pictures were those of the actual baby but was unable to return it due to the no return policy. I did not know who the original artist was until my daughter received the box, opened it, took pictures and sent it to me since I am overseas on assignment. 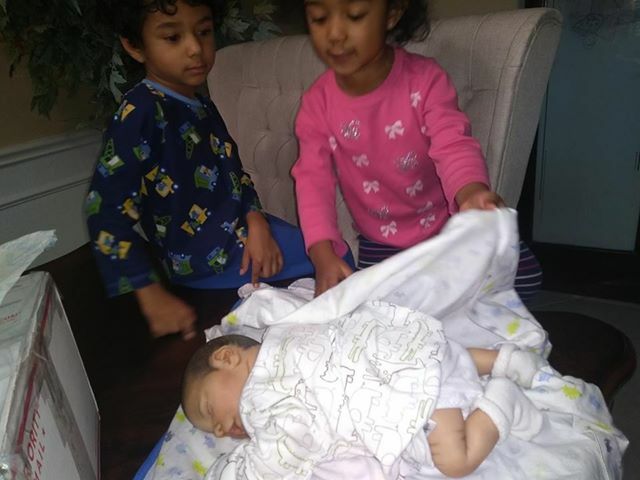 She stated that this baby looked so real that her husband came home and asked whose baby she was watching. Once she told him it was not real, he inspected it and said the the artistry was brilliant and if they took the baby to the store, it will fool people. 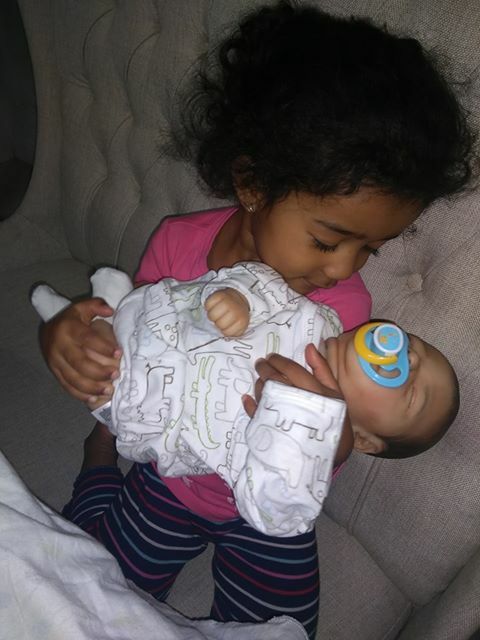 Even my grand babies are in love with this baby. They did not want to put it down. My granddaughter even wanted to change his nappy and give him a bottle. She just made 3. I asked my daughter to rate the baby on a scale of 1 to 10 for realism and she gave it a 9 only because the hair was painted. She said that If the baby had real hair, she would give it an 11. I will attest that Lil Sugar by Jo is an authentic artist, the real deal, and from what I can see in the website, affordable. Her babies are worth the money. I can’t wait to get home and hold this baby. Thank you so much Jo. You restored my faith in the reborn business. Yes it is very uplifting, that's why I had to post it! We all work so hard and put so much love into what we do, it's always good to hear someone else appreciates our work! for the wonderful compliments and sharing in my joy. Your baby is outstanding and the real children are just beautiful! Lovely story and great pictures!!! Thank you, it was very uplifting! Thank you!! Her Grandbabies are beautiful and they look so amazed at Darren LOL! Thank you, it's so good to get such good feedback, people are quick to tell you about negative stuff that it's refreshing and encouraging to get something like this! Oh Jo - what a beautiful note to you. I love when persons will take the time to send positive and uplifting notes. Thanks for sharing, that is so wonderful! I just want to clear something up on this thread. I have talked to the woman whose Nursery is mentioned in this post. I never even thought about removing her name at the time because it was just part of the message, I just did a "copy & paste" and never even thought how her name could be hurt. I know working with the public, you are not always what a customer claims you to be. I'm sure most of us have all been there, so whatever I posted I never directed it against her Nursery. We must all walk with integrity in this business. I have removed the name and I have also seen pictures of her work and she makes gorgeous Reborns! She is a wonderful person and I am hoping nobody judges her from this post. I guess I just had a "Senior Moment" when I did the "copy & paste" but that's no excuse. I just wished one of you would have kindly corrected me, I would have taken it out immediately & it wouldn't have caused anyone to be hurt. I’m so happy this family appreciate all you do !